Come visit our full-service auto repair shop in Bel Air, Maryland, for complete automotive needs, diagnostics, as well as all types of engine repair, general maintenance, tune ups, tires, emission repairs, and much more. 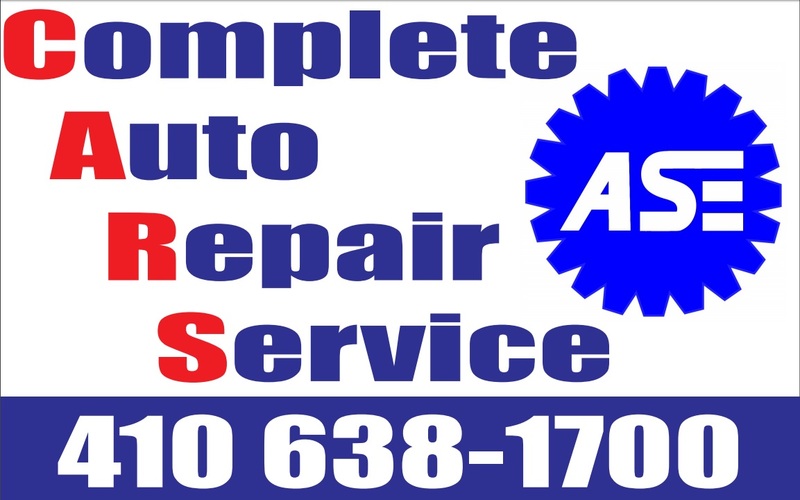 Complete Auto Repair Service Inc. is a full-service car repair facility conveniently located in downtown Bel Air. Our experts can repair any make, model, and year of vehicle, and no job is too big or too small. Contact our auto repair shop for honest and reliable repair services. Servicing Harford and all surrounding counties and Southern PA. Call or E-Mail now to make an appointment and solve your car troubles.